Tuning a sales team for growth is a process that involves approaching the workforce from many different angles. Each person must be prepared to work harder in the period ahead. The people and tools supporting the team must be improved as well. There are several ways to tune a sales team for growth. Tuning a sales team starts with skills development and reinforcement even for successful members. Skills development involves training sessions that focus on several areas. Team members should have detailed trainings about current systems so that it is easy to access information and finalize purchases. Skills development should also include providing proven tools and strategies that will help when dealing with customers or even service issues. Tuning a sales team for growth often means increasing morale and creating excitement about the next phase of the business. One way to do this directly is to implement new incentive programs. These can be used in addition to any existing programs. New incentives should reward members of the sales team of performing above previous expectations. They can also be focused on achieving new business goals or benchmarks that might have previously seemed unreachable or insignificant. New incentive programs will keep the team engaged and motivated. 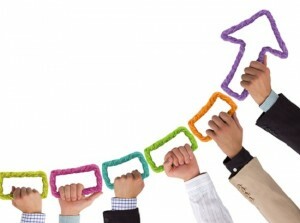 It is important to use regular sales coaching when tuning a team for growth. This type of coaching uses metrics in order to provide personal goals for each member of the team. The goals usually focus on sales weaknesses. Coaching sessions are usually given on a one-on-one basis once a week or even more frequently if something significant occurs. Coaches provide advice and strategies to meet personal goals based on the strengths of the employee. Team members who meet the goals can be rewarded in minor ways or recognized by managers. If goals are met in a given period, the coach increases or changes them. This keeps the sales team working at maximum potential and learning about new techniques. Preparing for growth means taking the time to ensure every member of the sales team has an intricate knowledge of the products or services being sold. This creates confidence in the salesperson that translates into trust in customers. In-depth product knowledge also allows salespeople to work faster and shorten the time it takes from initial contact to the final purchase. Clearly defining the goals of the business during the period of growth will help the sales team to become more effective. Teams with long histories might be very focused on generating direct revenue through purchases. A period of growth might require the team members to focus more on customer acquisition, customer retention or even customer service. Defining these goals allows the team to adjust individual strategies in the moment. Providing the team with knowledge of the customers from a marketing or research perspective can help to improve sales and efficiency. This means describing who the most typical customers are. It also involves talking about the most common reasons a sales lead or existing customer comes to the company. Understanding what problems customers are attempting to solve provides invaluable perspective. Tuning a sales team for growth involves providing the right support and resources. The team should have a coach and a clear lead. Every member should have a manager even if it is not the lead. These supporting members should be gathering metrics, listening to transactions and providing valuable feedback as regularly as time allows. Additionally, resources such as weekly upsales sheets, inventory updates or even sales tracking boards will make it much easier for the team to succeed.